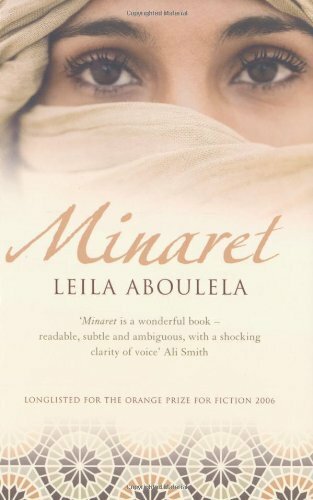 Minaret by Leila Aboulela – African Book Addict! With her Muslim hijab and down-turned gaze, Najwa is invisible to most eyes, especially to the rich Arab families whose houses she cleans in London. Twenty years earlier, Najwa, then an aristocratic Westernized Sudanese, could have never imagined this new life. She was a student at the University of Khartoum but her focus in life was on fashionable clothes, pop music, and parties. When a political coup forces Najwa’s family into exile in London, she soon finds herself orphaned and completely alone. For the first time in her life, Najwa turns to the solace and companionship among the women at the mosque, and when she adopts the hijab, she begins to see the world anew. Then Najwa meets Tamer, the intense, lonely younger brother of her employer and they find a common bond in her newfound faith and slowly, silently, begin to fall in love. Written with directness, simplicity and force, Minaret is a stunning and insightful novel about one woman’s journey toward spiritual peace. I loved Leila Aboulela’s short story ‘Museum‘ which won the first Caine Prize in 2000. I read ‘Museum‘ from the anthology, Opening Spaces – Contemporary African Women’s Writing and I thoroughly enjoyed it, mainly because Aboulela is Sudanese and writes about Khartoum. We rarely read or hear about Sudan in the African literature scene, so Leila Aboulela’s writing excites me! I preferred reading the beginning of Minaret: Najwa was born into an upper-class Muslim family where her father worked with the president of Sudan, and her mother came from a rich family. Najwa and her twin brother who are very secular compared to other Muslim youth went to the best private schools of Khartoum and the best university in the nation. The family had several luxurious cars, superfluous food, partied with their rich friends regularly and enjoyed vacations in several countries, including London where they owned a townhouse. Life was great for Najwa’s family. Since all was well for Najwa and her family, she was very oblivious to the fact that Sudan was a very poor nation with majority of the citizens under the poverty line and with a government- which her father was associated with, that was very corrupt. Things turned upside down for Najwa and her family when Sudan faced a coup d’etat, hence her family- excluding her father, were forced to escape to their townhouse in London. The storyline cuts through 10-15 years later and after a series of unfortunate events, Najwa who was once a rich, secular university student becomes a lonely, poor housemaid. As a housemaid, Najwa finally starts to take Islam seriously by wearing a hijab and going to the Mosque to pray daily. The storyline towards the middle of Minaret gets a bit annoying. Najwa (now a housemaid), who is now about 40 years old falling in love with Tamer – her employer’s son, was a bit strange to me. Why is this 40 year old in love with a 19 year old university student? I found Tamer to be very judgmental as he felt he was a better Muslim than everyone. Towards the middle of the story, I realized Najwa was a little too naiive for my liking. Her fate was very sad as she was orphaned quite early due to political instability in Sudan, but I didn’t find Najwa to be a strong Muslim woman I could learn from. Surely, she had her strengths- she had a calm spirit, she was meek, she was very kind and regarded others’ feelings. Throughout the novel, she was trying to grow spiritually and was trying to become a better Muslim, but by the end of the novel I didn’t really see the depth of her growth. The conclusion of the novel seemed incomplete as well since Najwa’s character seemed stagnant. It was as though she was content being a housemaid and did not aspire to do anything better with her life or even go back to Sudan. I was quite disappointed that Najwa did not want more for herself. Leila Aboulela is a great writer. I loved the calmness and simplicity of her writing in this novel. This book made me appreciate the Muslim culture and the importance of women wearing hijabs and tobes. I just wish the love story between Tamer (the 19 year old) and Najwa was more realistic and didn’t take up 3/5ths of the storyline. But I still look forward to reading more of Aboulela’s books! lovely book i read it a while back and lost the book after giving it away . Ohh! Hmm, this is why I’ve stopped lending books to people. I hate people losing my stuff lol. Try and buy a new one and keep it for your archives! I’ve read both this one and Lyrics Alley by Aboulela. Like you, I thought this one was okay, but I really enjoyed Lyrics Alley. I really enjoyed this novel seriously, I gave it 5 stars. Reading lyrics alley at the moment. Mary, you love all the books I don’t care much for hahaa! I need to read ‘Lyrics Alley’ next. I hear its better! Just finished lyric Alley, I prefer Minaret… More intimate read. 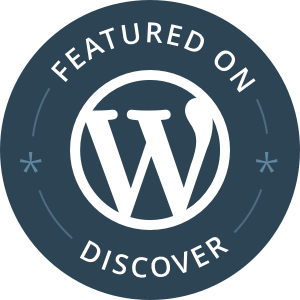 Reblogged this on SHG: Sudanpreneur.